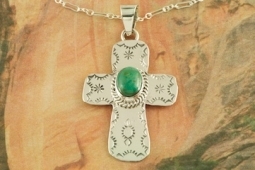 Beautiful Cross Pendant featuring Genuine Sierra Nevada Turquoise set in Sterling Silver. Free 18" Sterling Silver Chain with Purchase of Pendant. 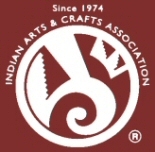 Created by Navajo Artist Burt Francisco. Signed by the artist.